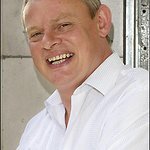 With dozens of cats slaughtered in the last two years by the so-called “Cat Ripper of Croydon”, actor Martin Clunes – star of Doc Martin, Men Behaving Badly, and Shakespeare in Love – fired off a letter on PETA's behalf asking The Met to take every measure necessary to find the killer, including re-examining all available CCTV footage. More than 30 cats have reportedly died at the hands of the “Cat Ripper of Croydon” over the last two years and at least seven have been found disembowelled or decapitated in the area in recent months. 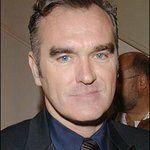 Clunes joins a group of celebrities who are backing the campaign the catch the killer, including Dermot O'Leary and The Vamps lead guitarist, James McVey. PETA – whose motto reads, in part, that “animals are not ours to abuse in any way” – has offered a £5,000 reward for information leading to the arrest and conviction of the perpetrator. Anyone with information about the case is encouraged to contact the RSPCA on 0300 1234 999.